The Assassin’s Creed franchise has gone from strength to strength over the course of the last half decade. The original Assassin’s Creed was an ambitious project that wowed one and all and yet still had tons of flaws. Assassin’s Creed II improved upon the original to the extent that the latter now seemed like nothing more than just a tech demo, and Brotherhood, while short on story, added a lot of new features, that may not have been as drastic as those in AC2, but still gave a lot of refreshments to the formula. With Revelations, Ubisoft is looking to end the Ezio trilogy, tying off the story of what is possibly one of the best characters this generation. Is Revelations a proper send off to our Italian Assassin, or does franchise fatigue make this adventure a not-so-memorable one? Ezio’s back. And he’s old. I will be very honest here: when I first played Brotherhood, I was a little disappointed. The features it introduced were ultimately of no consequence, the story progressed very little, the campaign was not half as good as the one in Assassin’s Creed II, and I liked the multiple cities setting better than one, single large city. I still thought it was an enjoyable, well made game, but at the end of the day, after the awesomeness that was Assassin’s Creed II, it left me wanting for more. When I first started playing Revelations, I was afraid that Ubisoft had done the same thing this time- concentrate on optimizing the multiplayer component and neglecting the single player campaign. Let me tell you: I was wrong. Assassin’s Creed: Revelations’ single player campaign is definitely better than that of Brotherhood, and maybe even better than AC2. The story here is great. Ezio is now an old man- 50 years old, to be precise. 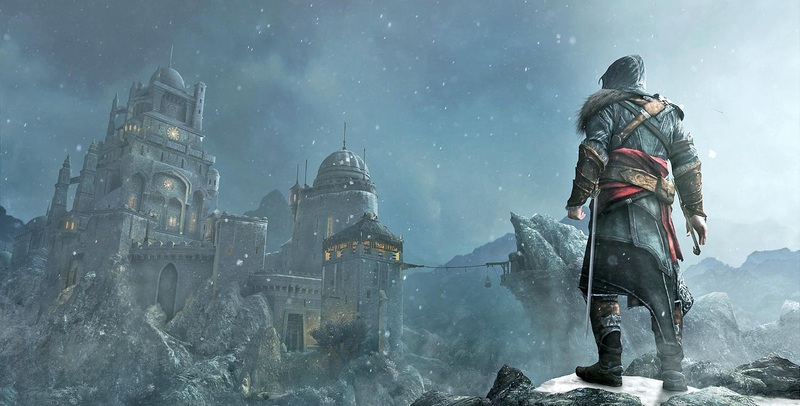 He has lost all those who were dear to him by now, except for his sister, Claudia, and now, he’s on his way to Masyaf to enter Altair’s library in the original Assassin castle. But to do that, he must first recover five keys that Altair hid throughout the city of Constantinople. 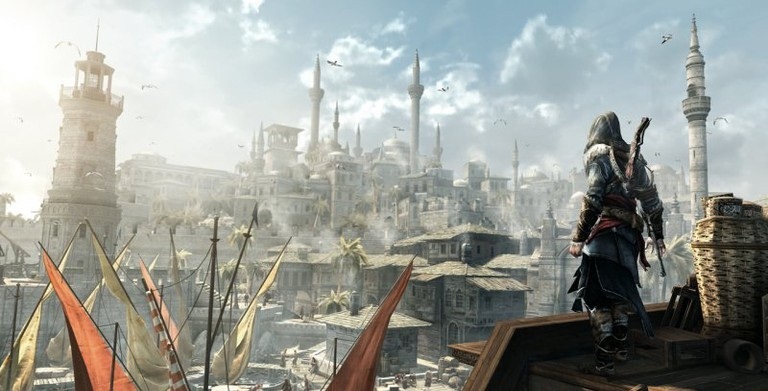 So to Constantinople Ezio travels, and it is there our game is set. We meet several great characters along the way, like the assassin Yusuf and Price Suleiman, all of whom are very well developed. The plot reveals a lot of details and answers several questions that AC2 and Brotherhood have raised in the last three years. It starts off slow, feeling like another dragged plot point like the one in Brotherhood, but it picks up pace about halfway through. The characters do a good job of hooking you to the story, and the juxtaposition between Altair and Ezio is absolutely masterful, and will give long time Assassin’s Creed fans an erection. Seeing places like the Assassins’ castle in Masyaf from the eyes of Ezio, other old locations and some other things that I do not want to spoil will give you goosebumps, and you’ll definitely remember these moments long after you’re done with the game. Without revealing too much, I also want to stress how great the ending of Revelation is. The entire last sequence is brilliantly done, and while it’s still vague, like we saw in the previous games of the series, it is very well directed, and manages to answer enough questions to keep us interested. Ubisoft definitely has a lot in store for us in Assassin’s Creed III. “ASSASSIN! HELP!” And those were his last words. What helps the story become so good, probably even the best in the series, is the brilliant, genius storytelling. Ubisoft has always been very adept at conveying their stories, but in Revelations, they have hit an all time high. 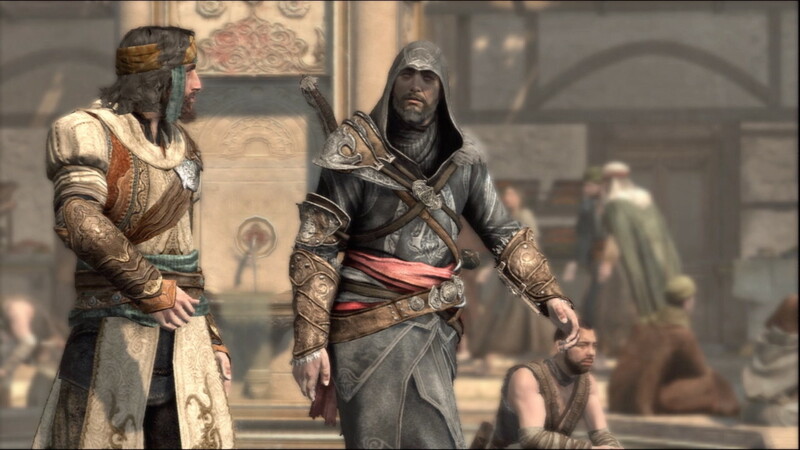 The cutscenes are extremely well directed, and, as I said above, the ones that show the comparison between Altair and Ezio are probably the most memorable moments the series has ever provided us with. Great voice acting and animations makes the experience that much more fluid and cinematic. The city of Constantinople is a huge one, and it’s much better than Rome. It may not have landmarks like the Colosseum, but it’s still a much better setting. It’s as alive and breathing as you’d expect a city in an Assassin’s Creed game to be- guards, citizens, shops, courtesans, musicians, thieves, everything you’d expect to see in a city, you’ll find here. It actually feels like you’re in 16th century Constantinople, and the fact that Ubisoft has constructed the in-game buildings perfectly only makes the city all the more believable and realistic. The mission structure in Assassin’s Creed: Revelations is better than ever. It is a cross between Assassin’s Creed’s structure- which had you do similar things over and over- and Assassin’s Creed II’s structure- which was more story based, and did not rely on any particular order you had to do things in, nor any pattern. Your main quest is to find the five keys- to do that you must go through platforming-only sections- similar to the Tombs in AC2 and Lairs in Brotherhood. These sections are probably the best part of the game. Once you complete one of these sections, you recover one of the Masyaf keys, which then shows you flashbacks of Altair’s life, which we play out ourselves. It was really great to see Altair again, especially for me, who’s been following Assassin’s Creed ever since 2007. His story is a compelling one, and those who liked him as a character in AC1 will definitely like him much better here, since he’s more fleshed out and has more dimensions to himself than we’ve seen before. 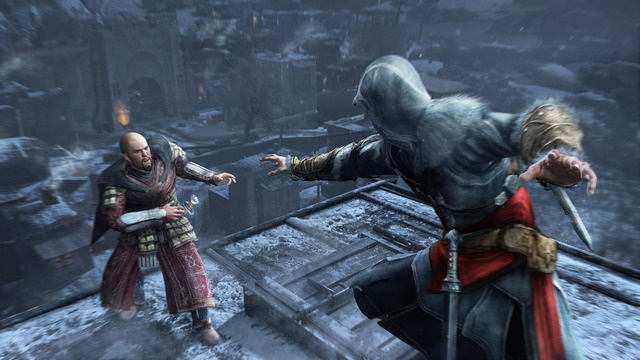 His part of the story adds a ton to the overall experience, as not only do we get to revisit old locations, we also get to find out what exactly happened to our favourite Middle-Eastern assassin after the events of Assassin’s Creed. Constantinople is the best city the franchise has ever visited. The third character, Desmond Miles, however, is not so compelling in Revelations as he has been in the last two games. Whereas the Desmond, modern-day sections were the best parts of Brotherhood, here, they have to be the most uninspired, boring and clunky ones. The first person platforming section are too much reminiscent of Portal, but they’re not even half as good. They feel clunky and out of place, and definitely detract from the experience. It’s a good thing they’re optional, because players will want to keep to what makes the game so good, which is the main story. Another thing that Ubisoft has added here is Den Defense, or tower defense. I know what you’re thinking- tower defense in an Assassin’s Creed game? And you’re exactly right. It is a system that has no place in a game like Revelations, and it feels even more out of place than Desmond’s platforming sections. Not only are the camera angles odd and a bit too restrictive, den defense takes away greatly from the experience, distracting us from what makes the game so good and making us do stuff that’s not half as interesting. It’s not really forced upon you or anything, but if you do not chose to defend your den, it’ll fall into Templar hands- something you don’t want happening. Just like the Borgia towers system from Brotherhood has been upgraded into this much more expanded den defense system, the brotherhood system has also been fleshed out. Every time you gain control over a Templar den and turn it into your own, you will be able to not only renovate shops and buildings in the area, but also hire new recruits and turn them into Assassins. They can be sent all over the Mediterranean to control cities- you can have them steal stuff, assassinate political figures, attack Templars in a specific city or launch an all out attack on a city itself and claim it for your own. The Templars will always give you stiff competition, and they’ll keep you on your toes. 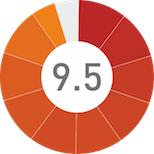 The more assignments your assassins complete successfully, the better they become at their job. You truly feel like a Mentor when you see your recruits rising through the ranks, and when you upgrade them, turning them into Master Assassins. It’s a great, nicely fleshed out system that adds depth, complexity, longevity and addictiveness to a game that’s already so much of that. Another neat addition in Revelations is bomb making. It’s nothing radical, really, and it’s exactly what it sounds like- you make bombs. But collection ingredients as you explore the city and customizing your own bombs and then putting them to use is strangely satisfying and addictive, and I’d definitely like to see more of this feature in future AssCreed games. The visuals of Assassin’s Creed: Revelations are great. They will not wow you as much as when you first laid your eyes upon Florence or Venice in Assassin’s Creed II, or when you first climbed the heights of the Colosseum and beheld the entire city of Rome in Brotherhood, but they’re still very impressive, with draw distances that can put the likes of GTA and Red Dead Redemption to shame. Each structure is immaculately designed, Ezio’s animations are fluid and graceful, textures are highly detailed and every nook and cranny is marvelously constructed. However, the engine is beginning to show its age- it does not have as much scope for expansion as it did three years ago with AC2, and the visuals, while excellent, are not the best in class. It’s not game-breaking, no, but it’s time Ubisoft started working on a new engine. The game’s also very formulaic, and those who’ve played previous games in the series will feel a heavy feeling of Deja Vu. There are not enough changes or tweaks here to keep the formula fresh and creative, and it does not have the sense of awe that Assassin’s Creed II had in 2009. I really hope Ubisoft has several changes in mind, and will expand the formula with Assassin’s Creed III just as they did in AC2. The soundtrack, however, is as good as you’d expect from an AssCreed game. Containing a mix of old favourites from previous games and all new compositions, this is one of the better soundtracks I have seen in a video game in the last few years, and maybe better than any other soundtrack in the AC series. One of the most unique additions in Brotherhood was the multiplayer component. Nobody ever expected such a feature to work in an Assassin’s Creed game, but it did work, and it worked very well. It was nothing like anything we’d ever seen before, with its own unique twists at familiar modes like Deathmatch. The multiplayer component works just as well in Revelations, and its received several changes as well. While I still think single player is where it’s at for the Assassin’s Creed series, I was delighted to know that I’ve got more incentive to come back to the game, since the online component here is an addictive one. He may be old, but he’s still as deadly as ever. Ultimately, Revelations is a great game, an excellent game. It does nothing new, it’s very formulaic and very similar to Brotherhood and Assassin’s Creed II, and the engine is definitely starting to show its age- but at the end of the day, all that is far outweighed by the pros of the game. An excellent story, memorable characters and great mission structure make Revelations the best game in the Assassin’s Creed series. While the engine and the formula are starting to show their age, the excellent story and mission structure of Assassin's Creed: Revelations make it a force to be reckoned with, and the best game in the series so far, better even than the awesome Assassin's Creed II.